This concert promises to be a feast of wonderful music, some you may find familiar, as we have previously performed it, and all will be sung with passion. 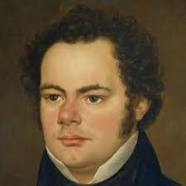 The Schubert Mass in G has soprano, tenor and bass soloists and the choir is accompanied by strings and organ. Rehearsals are under way, why not come along and join us? For details go to our rehearsals page.